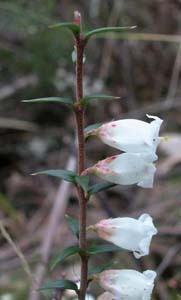 Epacris impressa is a widespread and abundant species in Tasmania. 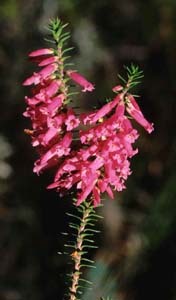 It grows in dry heaths and woodlands throughout Tasmania and even extends to dry microsites in button grass plains. It is an erect shrub with white to red flowers (often within the same population). The corolla tube is long and has five dimples. 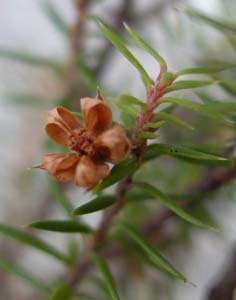 The leaves are narrow and sharply pointed. 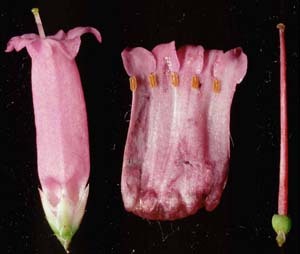 The species is very variable in flower colour, size and length, leaf size and width, and style length. 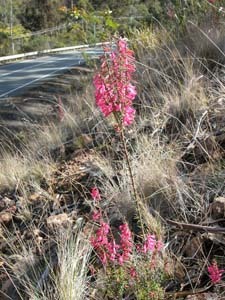 Populations of mixed red and white flowered plants are common.